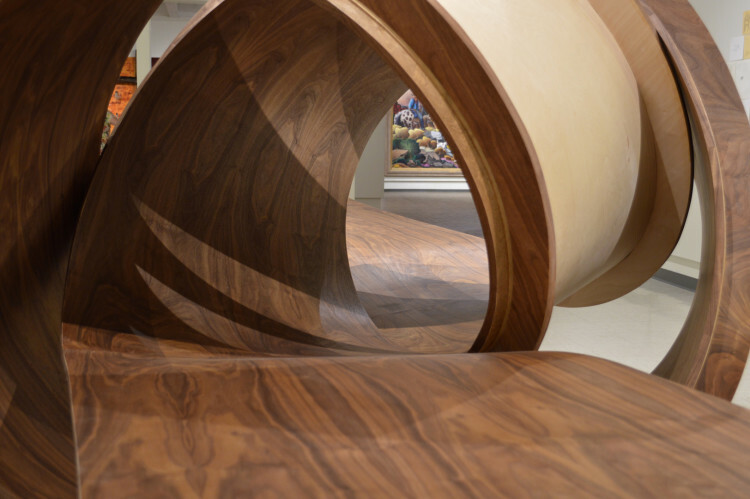 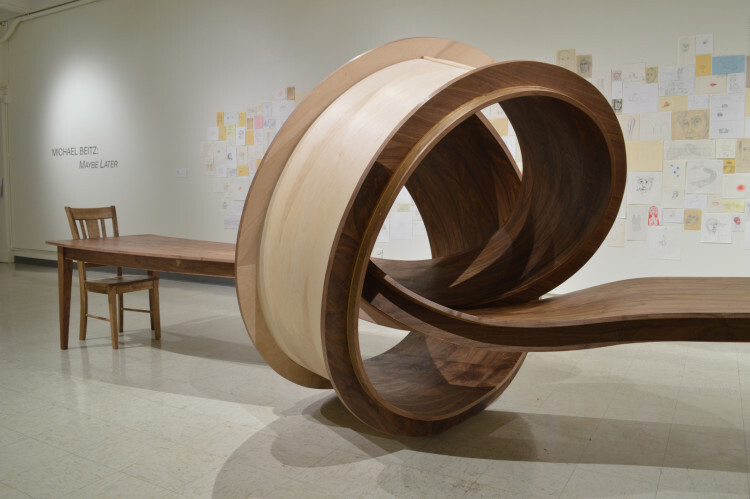 Not Now by artist Michael Beitz is a 28-foot-long sculpture of a wooden table tangled in a giant knot. 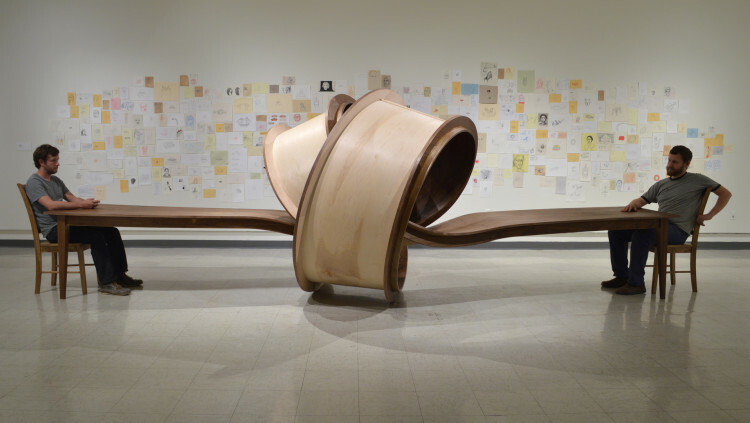 Beitz specializes in sculptures of warped furniture and other everyday objects. 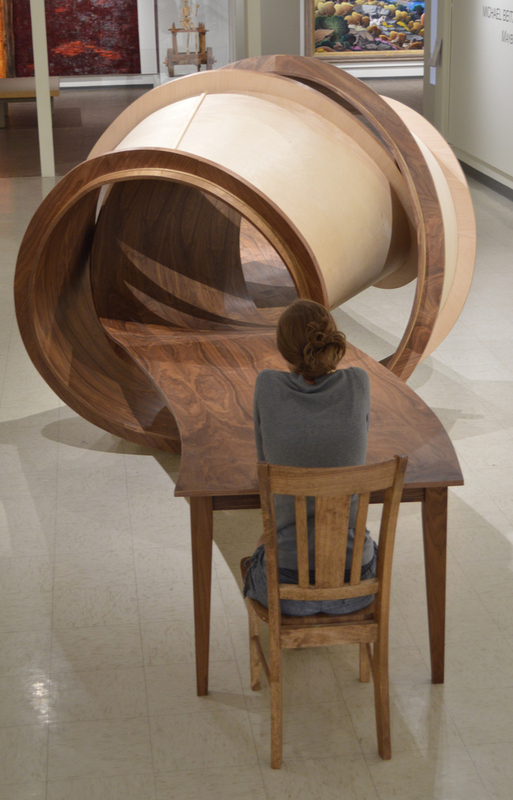 We first posted about his work back in 2011.